Spring is here (even though we are still registering winter temperatures this week). I wanted to share some low-carb dishes to enjoy so we can get ready for when we shed all the coats, heavy sweaters and wear some lighter clothing. 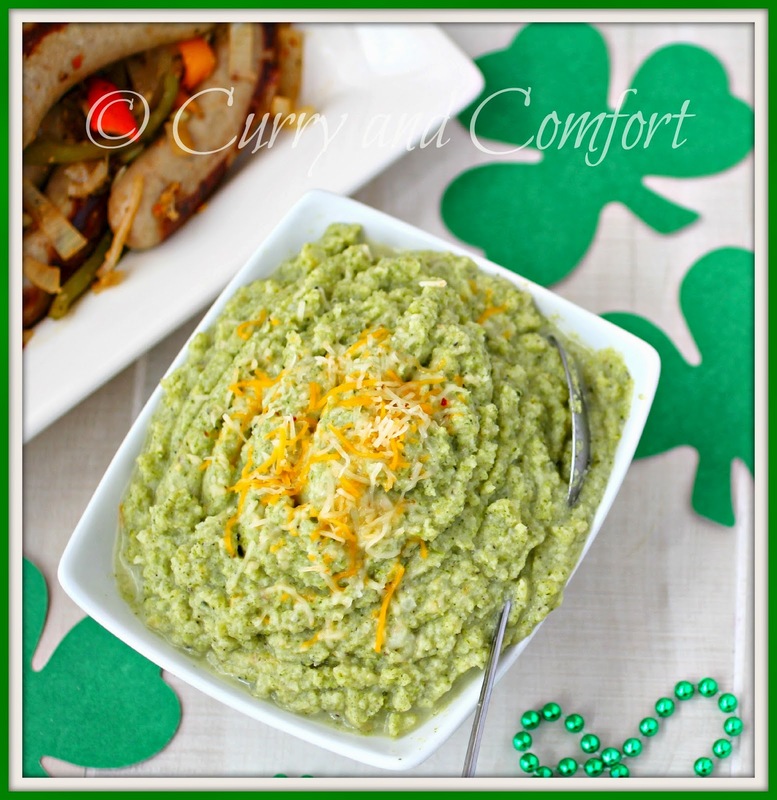 This dish is actually a round two recipe from a dish I made during St. Patrick's week. 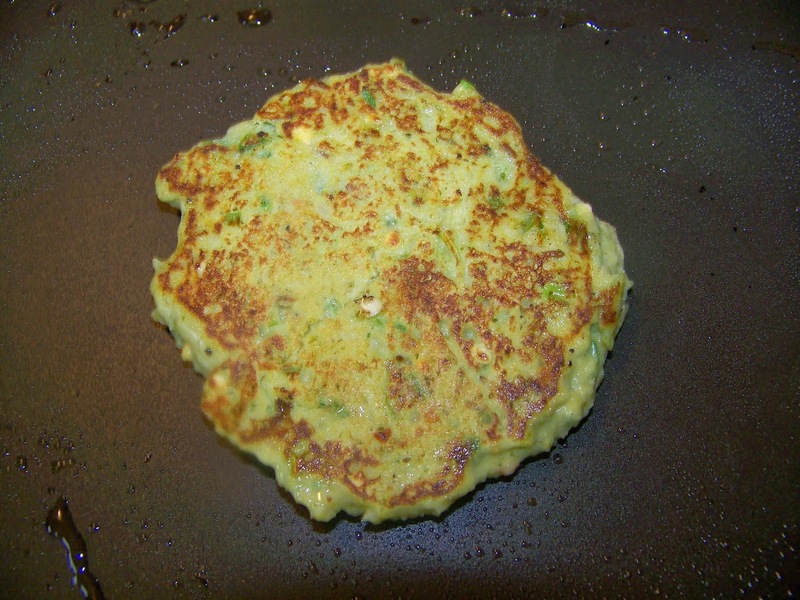 I made my low-carb cauliflower broccoli mash and I decided to turn them into some savory pancakes. 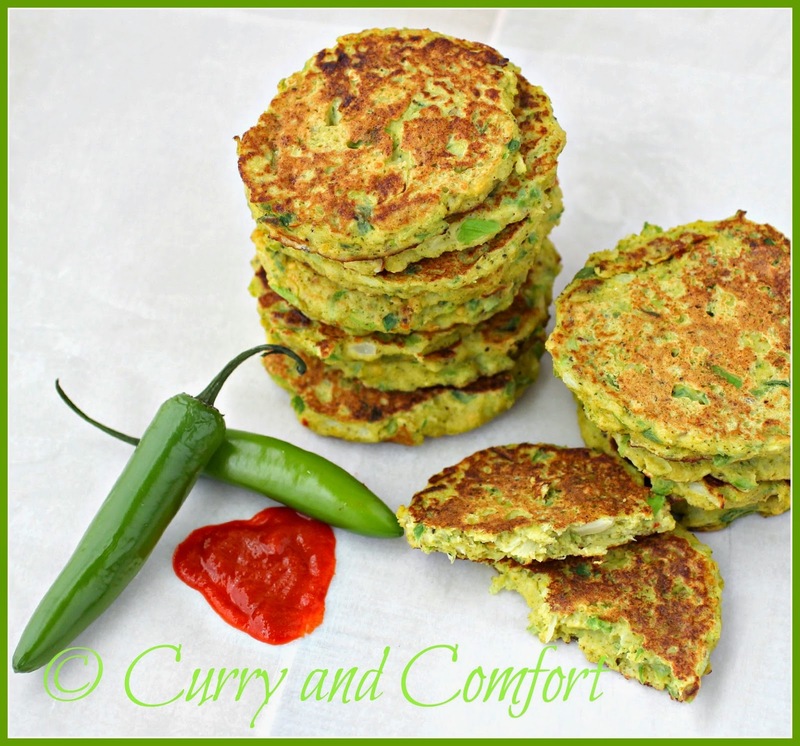 I actually ate these with some chicken curry like I would do a roti. They were low-carb and filled me up wonderfully, but light enough not to weigh me down. This will definitely me a fun recipe to revisit again. 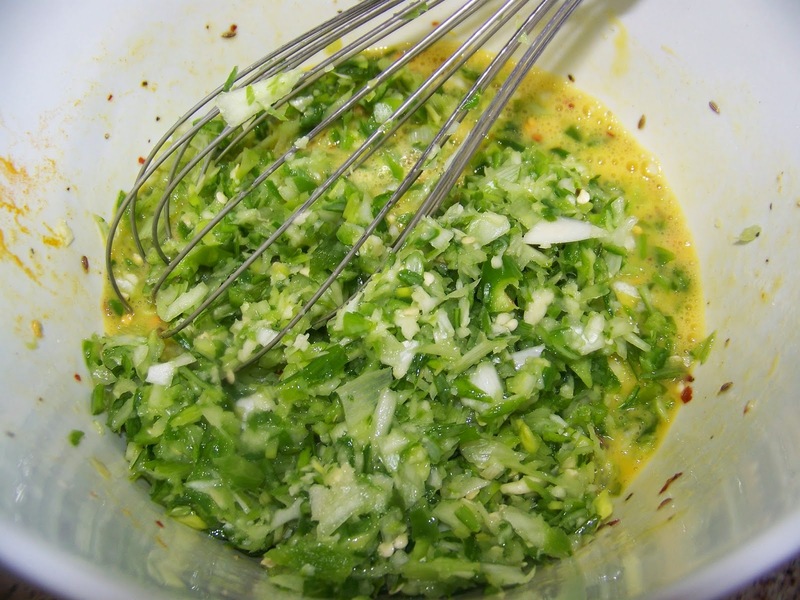 Chop white onions, green onion and jalapeno peppers to a small dice (I used a food processor to do this). 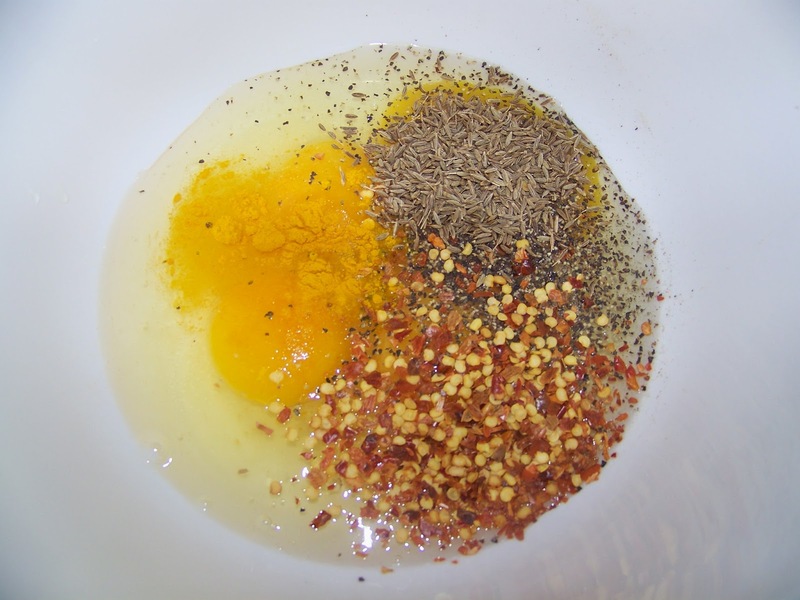 Then add to eggs, red chili flakes, salt, garlic, ginger, cumin seeds and mix well. 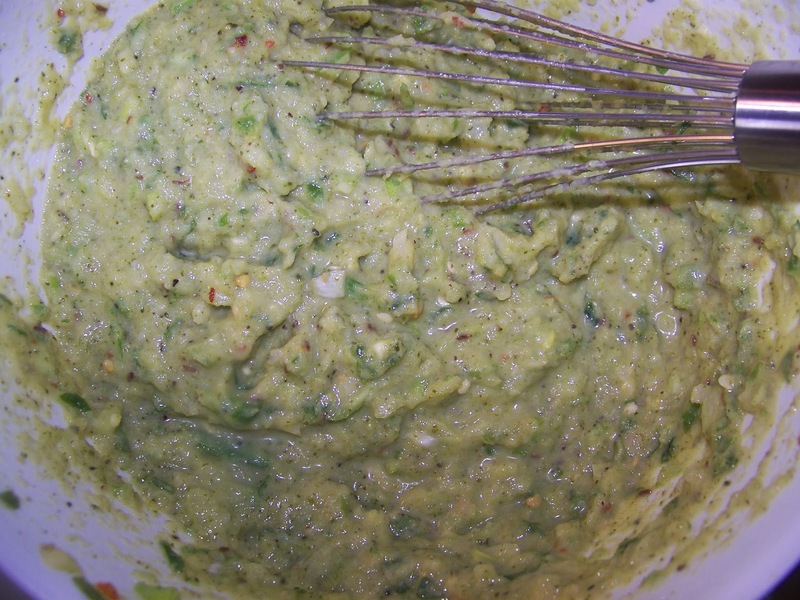 Mix in chickpea (gram) flour (sift flour if necessary to avoid lumps) with the broccoli cauliflower mash. Grease a nonstick frying pan or skillet with a little canola oil and ladle small pancakes on medium high heat. Cook for a few minutes and flip over and cook other side until pancake is cooked though. Serve with butter or curry. Enjoy. I made these for dinner and adapted them to a more American style by substituting Whole wheat flour for the chickpea flour and I also used about 2 tspns onion soup mix, used the cumin per recipe, garlic and no chiles. Mine were awesome and looked just like the ones above and tasted OMG! Now I am a Honey mustard freak so I used some for dipping. So good! 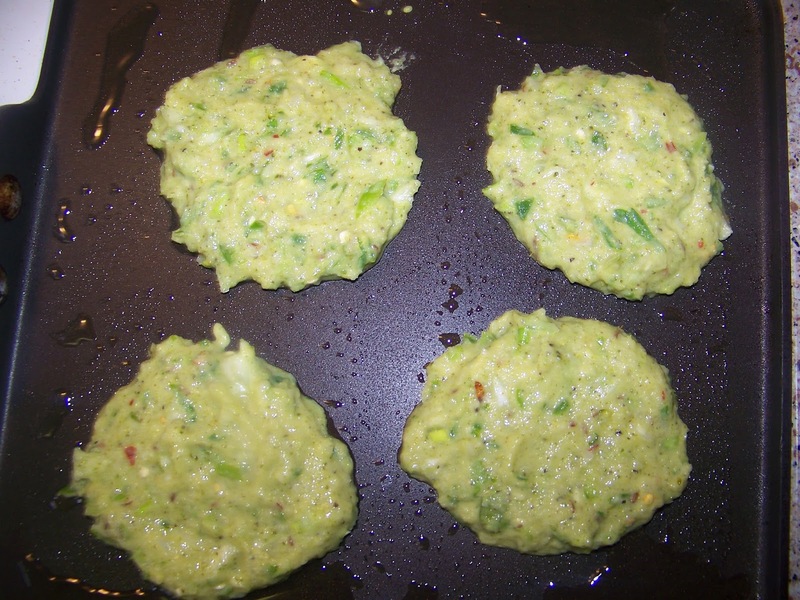 Great timing I need low carb dishes, it's way too hot here to eat heavy stuff and I am anyway all broccoli these days. 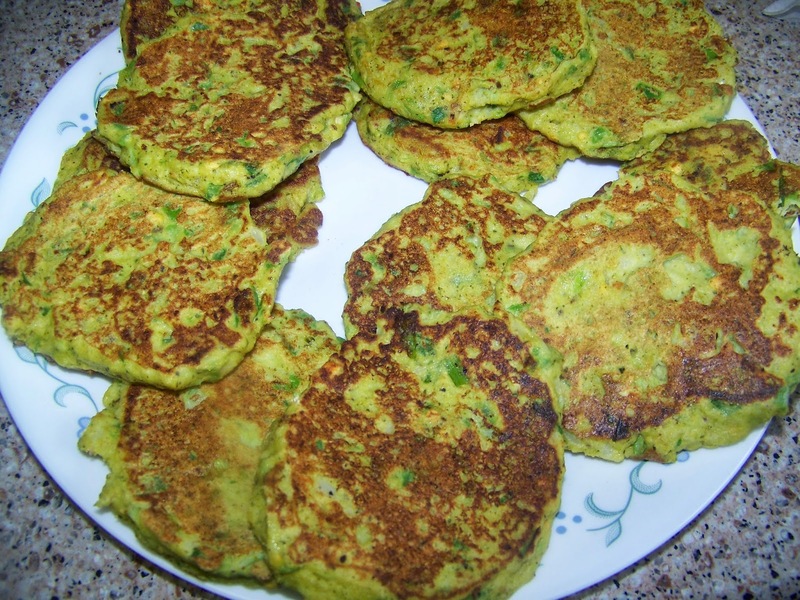 Thanks for sharing your patti recipe. Hope you had a lovely weekend! I made these for dinner and adapted them to a more American style by substituting Whole wheat flour for the chickpea flour and I also used about 2 tspns onion soup mix, used the cumin per recipe, garlic and no chiles. Mine were awesome and looked just like the ones above and tasted OMG! Now I am a Honey mustard fread so I used some for dipping. So good! I made these for dinner and adapted them to a more American style by substituting Whole wheat flour for the chickpea flour and I also used about 2 tspns onion soup mix, used the cumin per recipe, garlic and no chiles. Mine were awesome and looked just like the ones above and tasted OMG! Now I am a Honey mustard fread so I used some for dipping. So good! (I had written fread- not freak - so the only way to correct it was to delete and repaste it.) Sorry. teehee I could go a little lighter on the carbs with swimsuit season on its way (even though it feels like January outside!) These look so delicious that I don't think I'd even mind the lack of carbs! And that's saying something. :D Delicious recipe, Ramona! Now that's lovely....so colorful as well. 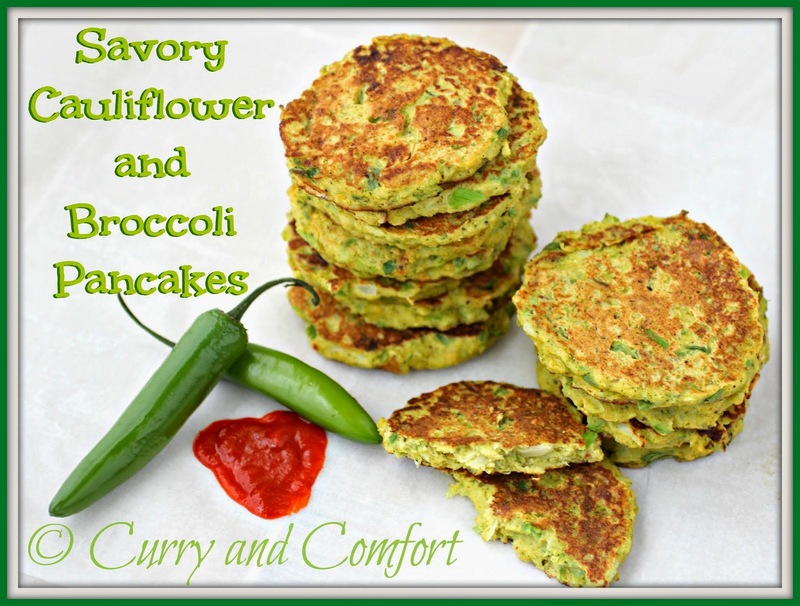 These are so much healthier than the pancakes and waffles I've been making. Hope I can find the chickpea flour. I love when you can redo leftovers to makes something new. Great round two recipe! How many eggs do you use for this recipe? Do you have the nutrition info on these? Interested in knowing calories, fat and carb/fiber counts. Looks like a yummy recipe! Thanks! Your pancakes look great, but are they good for breakfast? These are awesome! 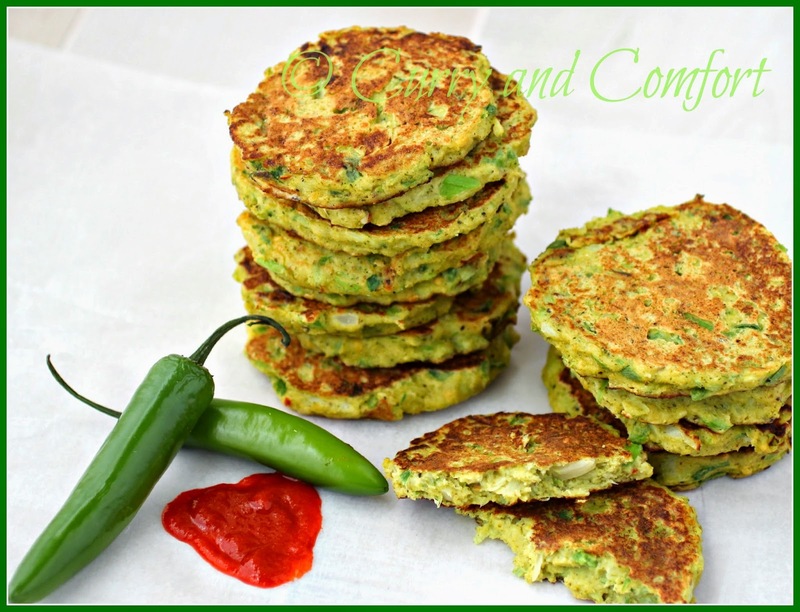 I make these often as a substitute to my deep fried pakoras (I am Indian) for appetizers. They are a hit!